Hua Hin is located in Bangkok Gulf of approx 230 km south of Bangkok and is Thailand's oldest beach resort. The place is very popular among Thais and Rama VII built his summer residence here. He called it Klai Kangwon which means "far from all troubles" still Hua Hin is a holiday resort for the Thai royal family. Originally the city was a small fishing village with a long pier and an active port, where the rays of the morning came in and unloaded their catch. Now the main part of the harbor moved, but if you take a tour, you can still spot nets and squid lying and drying in the sun. And at night you can see the light of all the fishing boats out in the bay. Restaurants with delicacies from the sea, also affects the image as Hua Hin has been discovered by tourists. There are not as many tourists in Phuket and Koh Samui since the beach is not as nice, but Hua Hin has its own quiet charm and tranquil atmosphere. Many tourists choose therefore to accommodate themselves in luxury hotels with private pools so that there will be more opportunities for swimming. On weekends many people go especially from Bangkok here to relax by swimming and eating. Hua Hin can be said to be a health resort for people living in Bangkok. 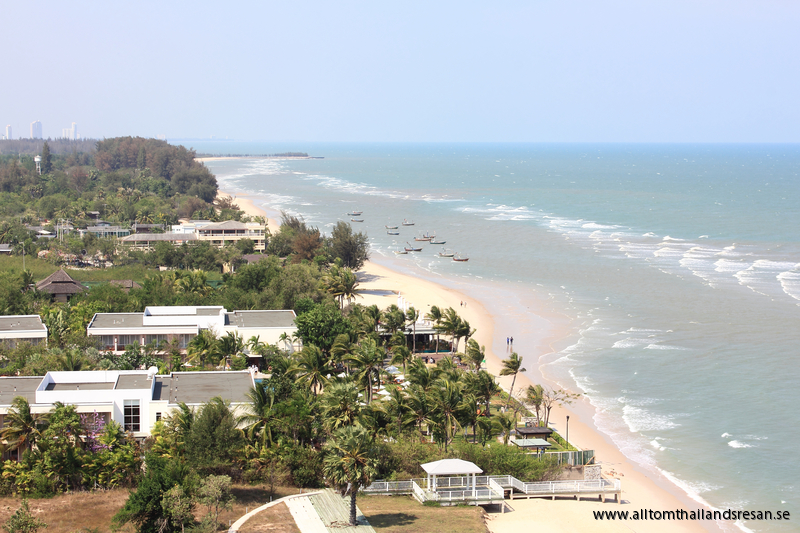 The beach starts from the south to the rock Hua Hin. (Hua Hin means rock in Thai) The beach stretches 3 km into the fishing position. 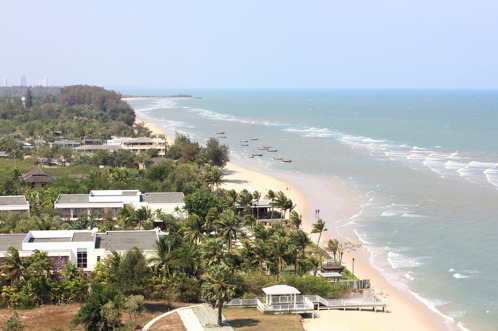 Today the beaches both north and south of Hua Hin developed with restaurants and accommodation facilities. On the beach you can rent lounge chairs and umbrellas, the waters are calm and safe for swimming. A few days between November and February, the wind starts blowing at 10:00 am and creates waves that can make swimming risky. In those days one should be careful due to under currents that can be strong. The city has a great night market and here you can, as well as local shops get your shopping needs met. Hua Hin has a variety of shops that offer custom-made clothes from one day to the other, and there are also pool toys for the kids.